Hardwood flooring is available with a number of distinct surface finishes that not only enhance the wood grain, but also help protect the floor. Whether you’re looking for a shiny, high-gloss finish or something a little more matte, hardwood top coatings provide plenty of options. Below are some of the top surface finishes to note when choosing solid or engineered hardwood flooring for your home. Arguably the most popular surface finish for hardwood flooring, water-based polyurethane provides a clear finish and has the traditional hardwood look and feel. Traditionally, this smooth, lustrous finish gives solid and engineered hardwood floors the signature wet look, achieved by using multiple coats of high-gloss polyurethane. However, water-based polyurethane finishes also come in satin and semigloss. Most high-gloss polyurethane hardwood flooring is prefinished in the factory, which makes installation faster. Thanks to the high sheen, cleaning this hardwood finish is easy, although scratches, pet hair, and other imperfections do tend to stand out. Oil-based polyurethane is another urethane option, although it can yellow over time. Oil sealer or penetrating oil sealer is a wise choice if you’re planning on finishing your hardwood floors yourself as it’s pretty straightforward for DIYers to apply. Oil sealer doesn’t dry as hard as the polyurethane mentioned above, but the penetrating process brings out grain patterns and enhances the color of the wood. This finish also allows for touch ups later on. The main benefit of oil sealer is the low-gloss, natural look it brings to flooring, which is ideal for antique and traditional style homes. The main ingredient in most oil sealers is tung oil. Since tung oil is naturally derived and not permanent, oil sealers are commonly reapplied every three to five years. This type of finish also has a longer drying time (24 to 48 hours per coat) and requires several coats. If you’re looking for a natural finish that’s easy to apply, offers a warm look, and provides excellent protection, a hard-wax oil finish is a great option. Although wax treatments for hardwood may be considered outdated by some, they’re growing in popularity again thanks to homeowners who want a low luster finish that’s easy to touch up. Most hard-wax oil finishes for hardwood are DIY-friendly in terms of application. Due to the finishes’ low durability and susceptibility to staining, reapplying the wax finish is an ongoing process, generally recommended every two to three years. Also called a Swedish finish, acid-cured finishes are extremely durable — more so than polyurethane. This type of finish is ideal for smooth-textured flooring and exotic woods that need extra protection. However, acid-cured finishes have high toxicity levels during the curing process, which can last anywhere from three days to an entire month depending on the relative humidity. The king of durable finishes is aluminum oxide, which lasts up to 25 years. This is especially beneficial for engineered hardwood floors because they often have a thinner veneer that doesn’t lend itself to sanding and refinishing. If you choose hardwood with an aluminum oxide finish, then prefinished planks are your only option. This limitation is due to the application and drying equipment used in the finishing process. Since aluminum oxide flooring is prefinished, it also makes installation faster than traditional on-site sanding and finishing. When you’re ready to install hardwood flooring in your home, consider the finishes described above carefully. Ultimately, the desired surface finish you choose for your flooring should not only complement your home style but your lifestyle as well. 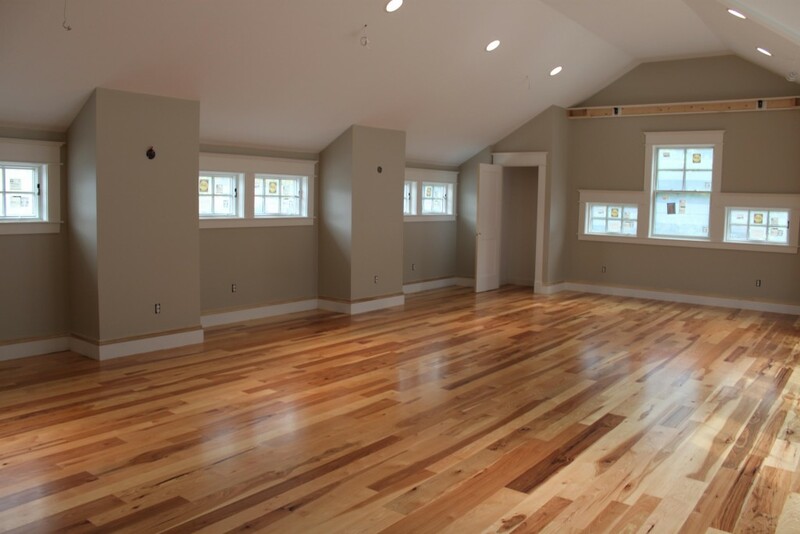 What type of finish would work best for your hardwood installation plans? Browse our selection of quality wood flooring here. Find the right surface for your next renovation. Types and Grades of Hardwood Flooring MDF Wood vs HDF Wood: How are They Different?